Bubble drink supply sells all businesses need equipment and supplies drink beverage bubble, bubble tea, milkshakes, cappucino grass jelly, ice blended, dessert, cake and pudding powder flavorings. We sell tapioca pearl with a very cheap price packaging / 1kg IDR.20.000. Tapioca pearl has a very unique character, when bitten by a black rounded grains is springy when bite. 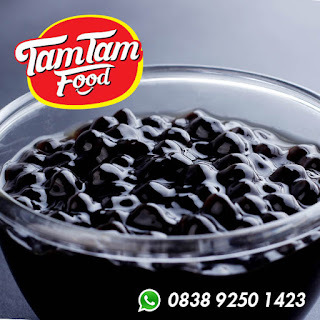 Sell ​​Tapioca Pearl in Jakarta Bubble Drink in keadan crude, which is very different from the market with the Best Quality.